Shop Hosa Balanced Snake DB25 to XLR3M from AMS and enjoy Fast & Free Shipping. The Hosa DTM snake is designed to connect gear with DB25 outputs to gear with XLR inputs. It is ideal for use with mixing consoles, patch bays, and multitrack recorders. 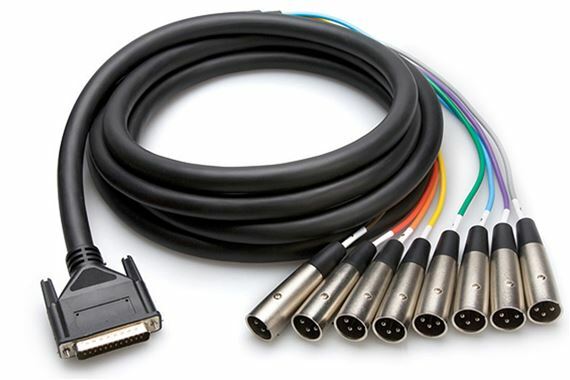 Features 8 XLR male connectors.